Showing results by narrator "Eric Merriman"
Four more episodes from the first series of the classic BBC Radio comedy starring Kenneth Horne, Kenneth Williams, Hugh Paddick, Betty Marsden, Ron Moody and Pat Lancaster. 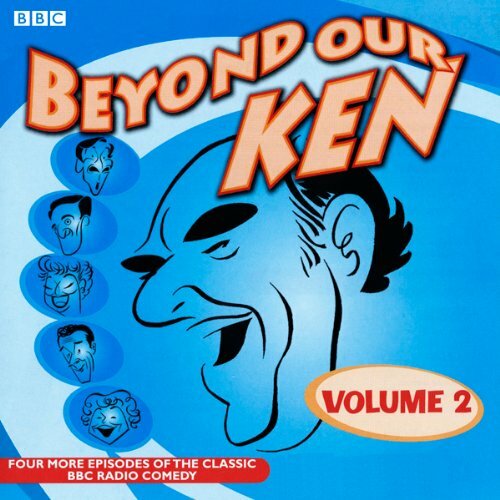 Between 1958 and 1964, 'Beyond Our Ken' lit up the airwaves, and it remains as funny today as when it was first broadcast. In these 4 episodes, pick up some of Kenneth Horne's beauty tips in 'Tittle Tattle Magazine', learn how to deal with a stork up the chimney.